The prospect of the U.K. crashing out of the European Union on March 29 is back on the agenda if Prime Minister Theresa May can’t get her Brexit deal through Parliament in time. Companies have been stockpiling food, drugs and manufacturing parts, with governments also making contingency plans. But what they can do is limited. The most catastrophic effects on the derivatives market or the airline industry have probably been avoided. But food could still rot at ports, and there’s a big question mark over what happens to crucial data flows. Here’s a look at what a no-deal would mean for key industries. The EU and the U.K. are cooperating on no-deal planning in one major area -- finance -- where both sides would stand to lose from a big market meltdown. Cooperation agreements will enable U.K. and EU regulators to supervise each others’ markets, though a recent EU decision to block some equity trading on London exchanges could raise prices for retail investors and complicate life for money managers. EU banks will be able to continue settling trades at clearinghouses in London, a decision that aims to avoid a cross-channel rupture in the multitrillion-dollar derivatives industry. Another agreement allows mutual funds and hedge funds in the EU to continue to delegate trading to staff in London. But the financial industry is pressing for further action from policy makers so there are no hiccups in trillions of dollars of another type of derivatives contracts that aren’t settled at clearinghouses -- over-the-counter uncleared swaps traded directly between buyers and sellers. Lobbyists are also calling on the EU to allow British exchanges and trading venues to be used for equities and derivatives transactions before they are then settled at the clearinghouses. 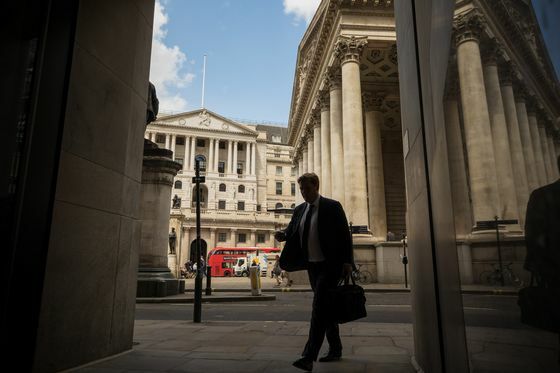 Banks will also have to deal with the fallout of a currency shock in the event of no-deal, as analysts predict sterling could fall as low as $1.20. Data now flows freely between the EU and the U.K. as they both follow the same rules. While the U.K. has said data will still be able to flow in a no-deal situation, Europe has given no such reassurance. Everything we touch online could be affected, including payment transactions, our footprints on websites and social media, services based on cloud providers such as Alphabet Inc.’s Google and Amazon Inc’s AWS. As no data will stop flowing, the British government and the U.K. data regulator are advising companies to make sure they have appropriate safeguards in place. This could be paperwork on internal codes of conduct or standardized clauses on transferring data. All of this is short-term advice, as the U.K. says it’s aiming for a so-called adequacy agreement with the EU, which would mean data flows can carry on as they did before. The risk is slim of the EU demanding a halt to data flows to the U.K. -- such an act would be close to declaring war -- but the danger of an activist spotting an “illegal’’ data transfer from one multinational to another is high, and companies will be readying themselves for potential lawsuits. Supermarkets and their suppliers are stockpiling food, but all frozen and chilled storage is already being used and there is limited warehousing space left if goods are held up by customs controls on trucks arriving via Dover, Britain’s biggest ferry port. They are also attempting to find alternative supply routes, but there are few options and not enough ferries available. Retailers rely heavily on European supply chains, with one-third of food in the U.K. coming from the EU. Their main concern is disruption at the crossing between Calais and Dover. The government has said it would wave in most EU traffic, but that won’t solve delays going the other way. Following an agreement between the U.K. and the EU, airlines from both sides should be able to carry on flying unhindered to each other’s territory after March 29. The accord extends to overflights and refueling stops and also extends the validity of safety certification that might otherwise be voided after the split. British-owned carriers need to take further steps to carry on operating solely within the EU, and vice versa. 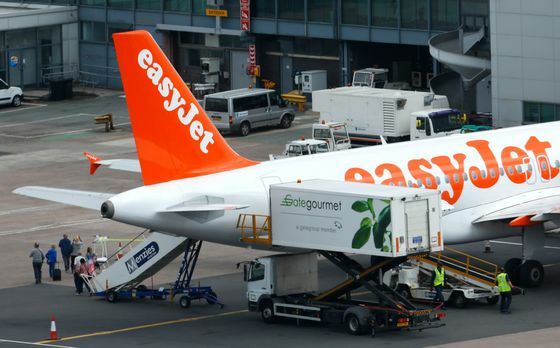 In order to do that airlines must acquire overseas licenses -- with EasyJet Plc setting up in Austria and Ryanair Holdings Plc, which is Irish, securing permission for domestic U.K. flights. Meanwhile, the world’s biggest caterer to the aviation industry has been stockpiling food and cutlery. Gate Gourmet, which serves 20 airlines at 10 U.K. airports, is accumulating enough supplies to see it through about 10 days of disruption -- including some items that need to be kept cold. The government is making plans to accumulate drugs and blood products in the event of a no-deal departure. And it’s telling patients not to build their own private stashes at home. Pharmaceutical companies are booking space on planes to avoid delays at ports, and Novo Nordisk, which makes insulin, aims for an 18-week supply. For British manufacturers that rely on imported parts, no-deal is a nightmare. Airbus SE has been laying in parts at its plants in the U.K. and Germany, enough to cover production for one month. Jet-engines giant Rolls Royce Holdings has moved the approvals process for its products to a facility in Germany and is storing up components. The car industry has also been hoarding extensively: Aston Martin has plans to ship car components via air freight to avoid using Dover, while Volkswagen AG-owned Bentley has been supplying parts through an alternative port for the last eight months. Several automakers have brought forward annual maintenance work to April, idling production to take the ease any pressure on supply chains. Rail services through the Channel Tunnel that connects Britain to mainland Europe will continue for three months after March 29. The European Commission’s unilateral proposal would apply to all traffic -- passengers, cars and freight -- and is contingent on the U.K. side maintaining existing EU safety standards and rules. The commission said the three-month period would allow the two sides to come up with longer-term solutions. European intelligence-sharing networks won’t change substantially with Brexit, according to the chief of the U.K.’s foreign spy agency, who downplayed the effect a no-deal departure on security across the continent. “The relationships between European countries that exist on intelligence and security are not within the competence of the European Union and it does not, even now, therefore cover these relationships,” MI6 head Alex Younger said in February. However, U.K. police warn that cooperation will be slower, more bureaucratic and less effective in a no-deal world than it is now, where Europol and the European Arrest Warrant smooth the way.